with Reserved Font Name Caudex. 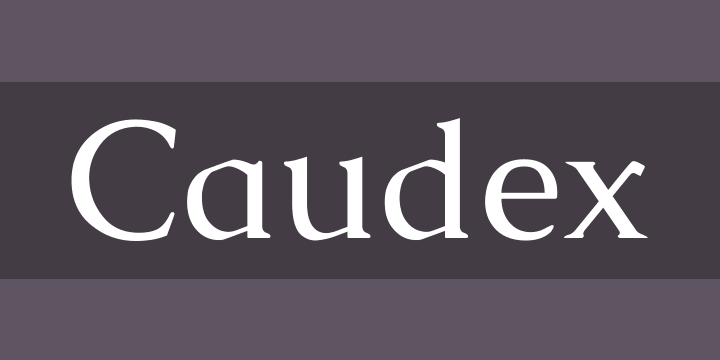 Caudex is a Unicode TrueType font created with FontForge. It is developed on SourceForge. It includes most of the Medieval Unicode Font Initiative (MUFI) version 3.0 recommendations. The font was originally made in the late nineties using the ISO 8859-1 character set, and used for printing some old handwritten text. Greek is also included.